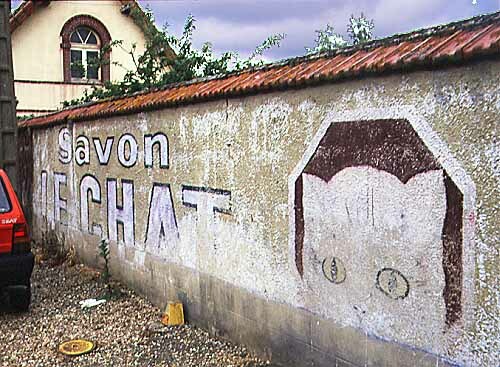 Le Chat saw light in 1853 as a cube of soap made by a company in Marseille: C. Ferrier &Cie - La Grande Savonnerie. 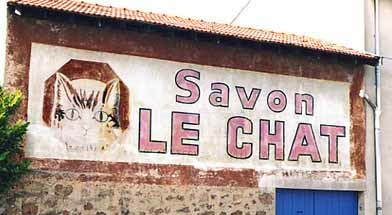 Le Chat was bought by Henkel in 1986. 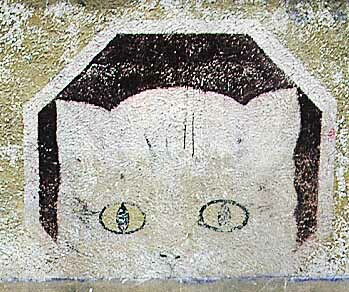 The Cat — still present on the package — has been shrunk into a small icon. The Dutch version of the advertisement. 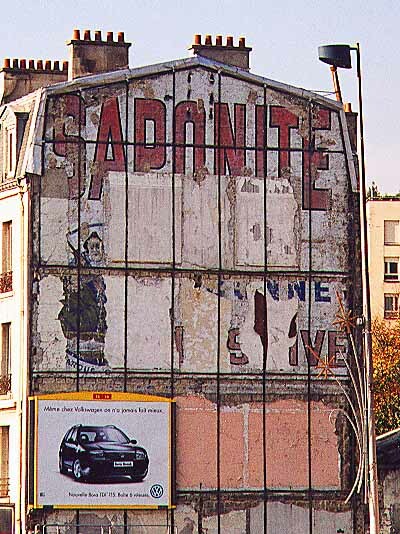 The French version of the ad. 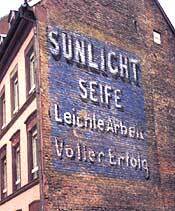 LUX - for all fine laundering. 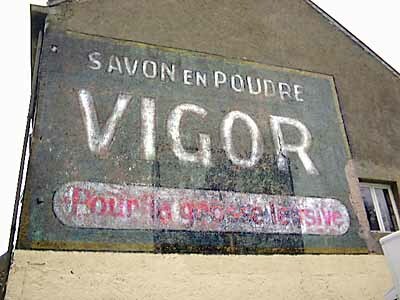 LUX and VIGOR target opposite ends of the washing-scale. 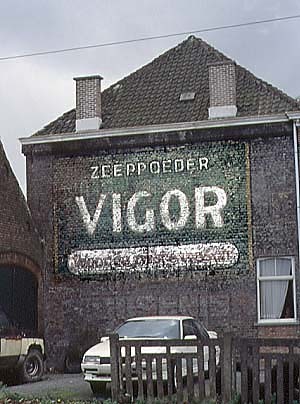 Both murals for LUX and VIGOR are also very old. 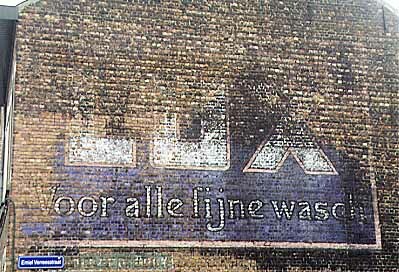 The Dutch word wasch spells was since 1946 ! 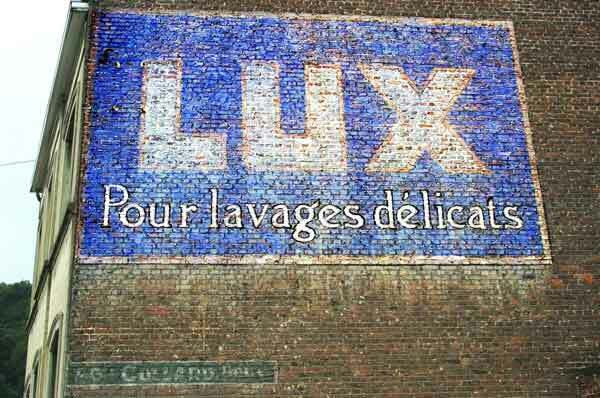 LUX - Pour lavages ??? LUX - for ??? laundering. 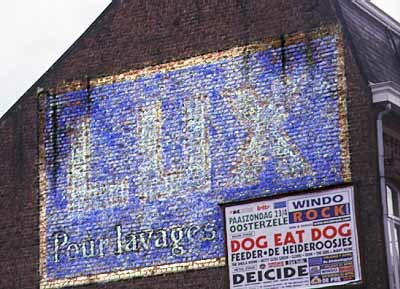 To me Lux was Unilever-movie-star toilet-soap. And now this: Lux for laundry. LUX - for the delicate laundering. 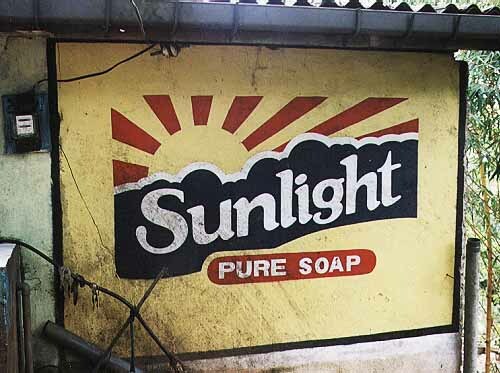 Until 1884 soap was just soap. 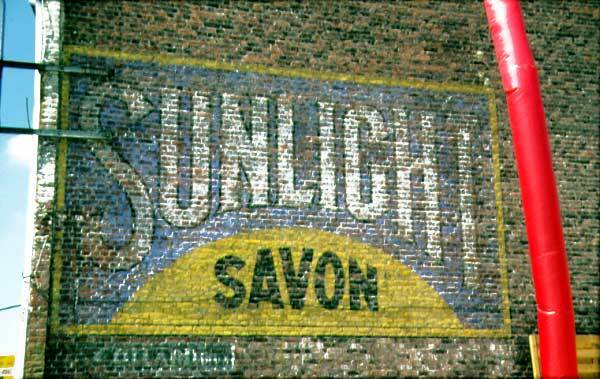 But then William Lever (founder of Unilever) wrapped his Sunlight in vivid colours. This innovative approach resulted in a number one position in many countries. 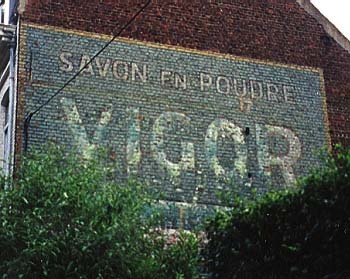 Vigor is also a Unilever brand. Several layers of the same and other brands. 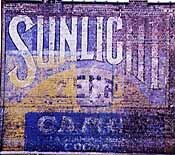 The lower part of this wall is in the Lubricants section. 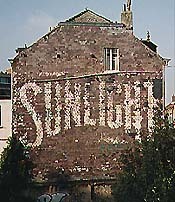 Sunlight on this exposed wall on a railway station diverts notably from the usual scheme. 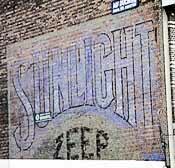 The typical Sunlight Zeep wall. Interesting though because of the Camus-announcement. We have more Camus on the site. Notice the lower case type. 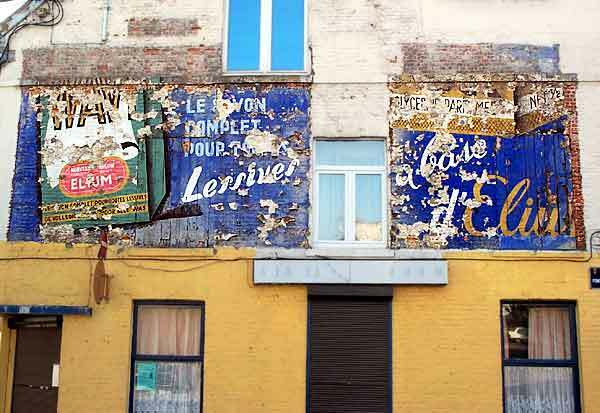 The Belgian walls are in uppercase. 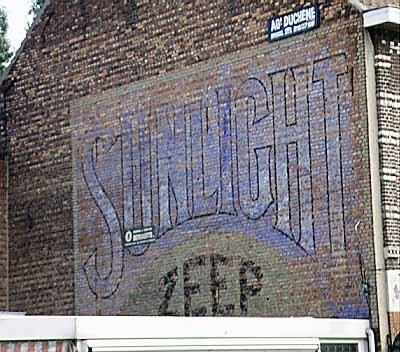 It's also remarkable that we haven't any other Sunlight murals except for Belgium. 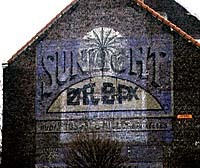 Lux and Vigor finds also come only from Belgium. 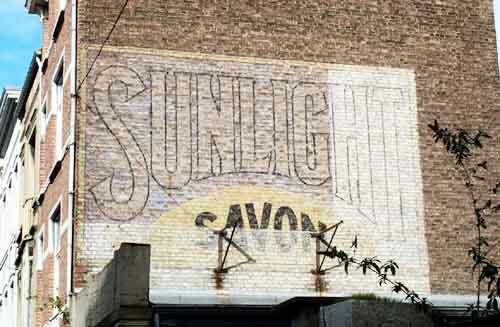 In 1899, W. Lever started produc­tion of his Sunlight Soap in Germa­ny. 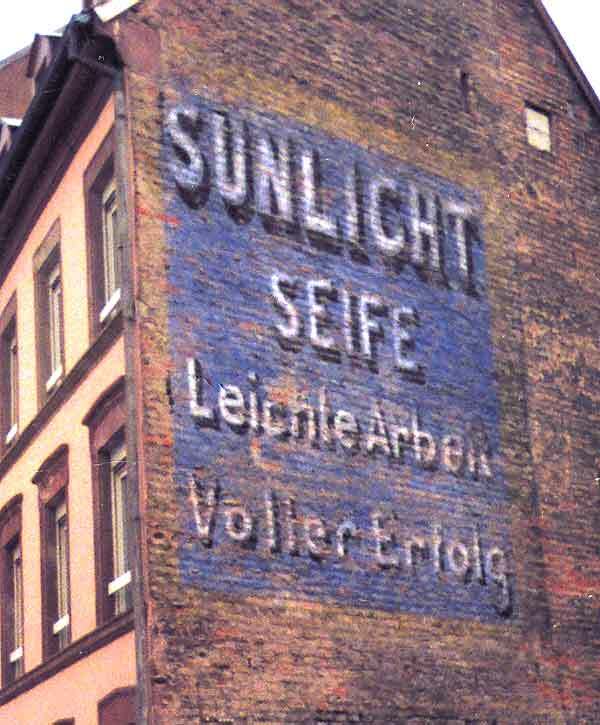 It was a great succes and in 1903 the German version of the brand was created : Sunlicht. Alsace was German territory before 1918. 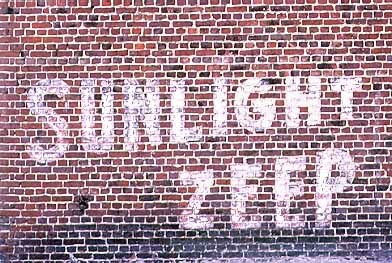 This wall could well date from then, the early days of the brand. 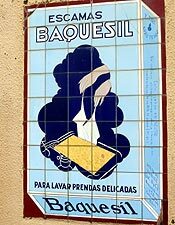 In the 1960s and '70s Spanish news­papers regularly ran classi­fieds for sales representatives. 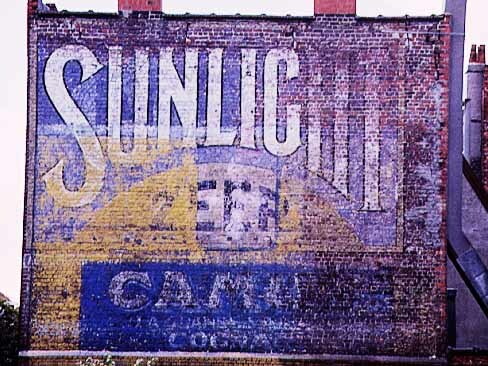 The company disappeared in the 1980s. 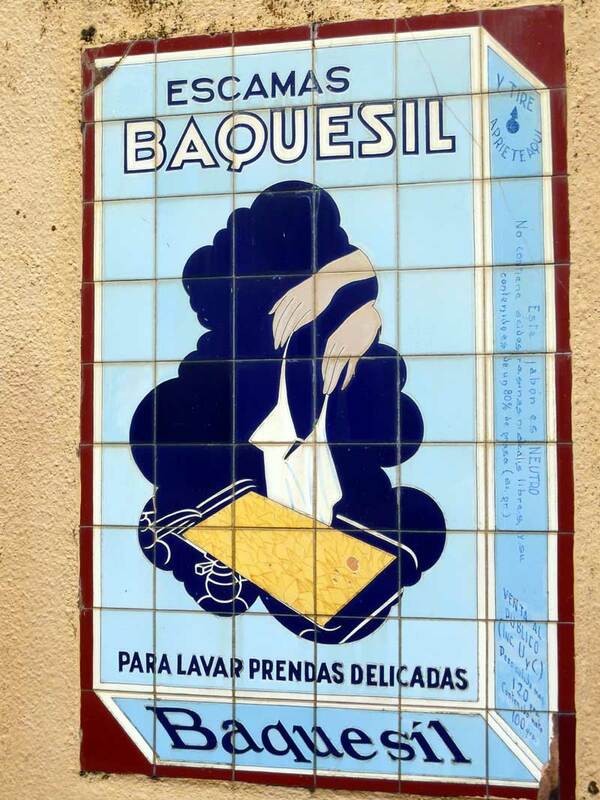 We have more advertisements with tiles: e.g. Philips light bulbs or Studebaker cars. 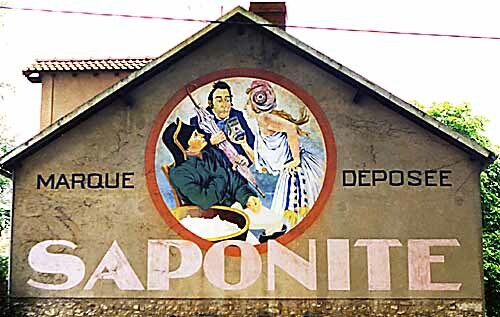 Excellent wall featuring Mr. Bonaparte who is clearly impressed by the qualities of the product. The Emperor supports a Cognac too. 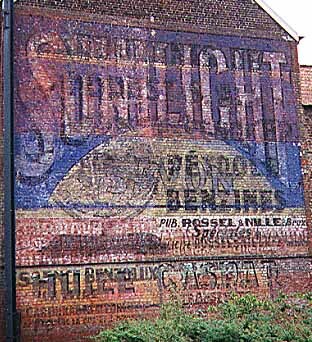 or Saponite the right washing powder. 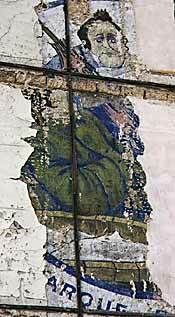 Almost lost and showing the same drawing as the 1997 find but en­hanced with a short recommen­dation. Below the tub remains of marque déposée can be seen. 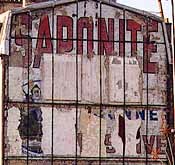 Saponite is a synonym for the mineral Montmorillonite also known as Mountain soap. 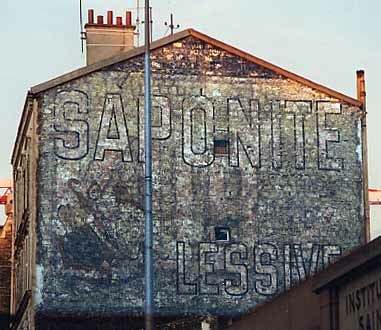 Saponite advert over an older KUB. Find a modern KUB artwork. 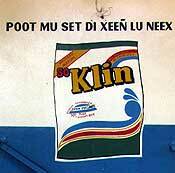 WAVI the complete soap for all laundry, based on Elium. I wonder what Elium might be. 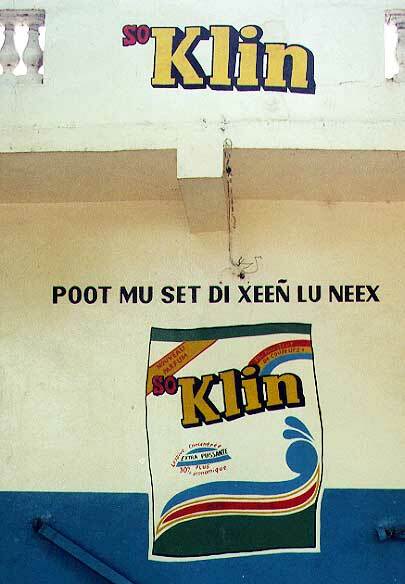 The left wing shows the package with a bilingual (French - Dutch) text stating New - contains Elium in the red blot and in the yellow rubans repeating that it is a complete product. The right wing says Glycérine parfumé and gives the NET weigth of the box. 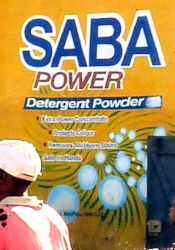 SABA is a brand of Pacific Interlink, incorporated in 1988 in Kuala Lumpur (Malaysia). 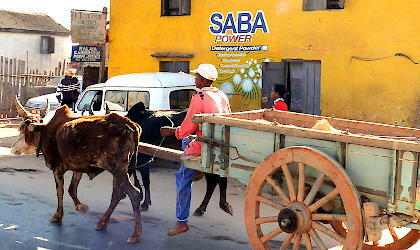 Saba is presumable one of the most trusted brands in many Sub-Saharan countries.